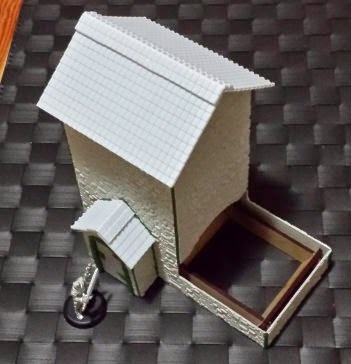 I bought a pair of dice towers a while ago and wanted to convert them up into something I would happily use for table top terrain. I bought a few sheets of textured plasticard and these are the results. It still needs some paint to really make it stand out but I look forward to using it on a table some time soon. Mike, once again I'm very impressed with your handiwork! May I ask where you got the textured plasticard from? -edit- Aha found it at your blog, thanks! Post subject: Re: Dice tower. No problem, I really like using the stuff. 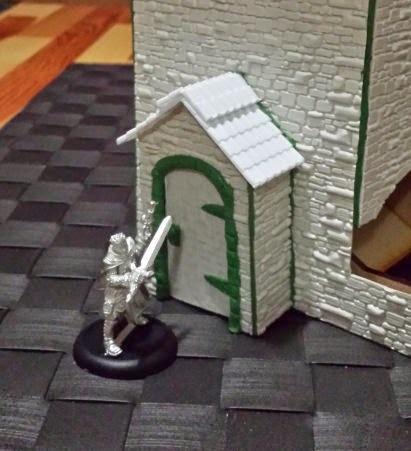 I bought a few of the other sheets, offset rectangle and staggered rectangle paving styles to base my mini's and the results look really good. Great for a nice urban setting (Maybe not the grim darkness of the far future). The cobblestone is much thicker than the paving stones. The paving sheets are flexible 0.5mm plasticard while the cobblestone is much thicker 1mm or possibly 1.5mm and not flexible at all. 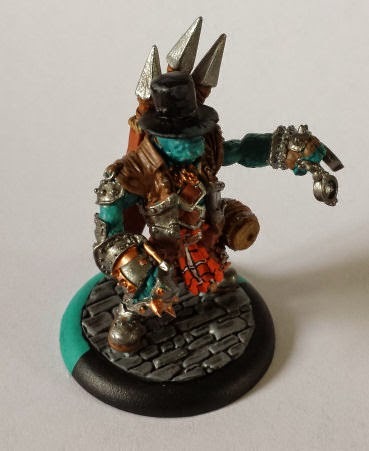 I've based mini's on both and really like the results. Offset rectangle paving stones. I cut out a few individual bricks from the paving to give it a smashed look underneath the 'Jacks feet. Also put just a touch of red wash over the blood stains so it would get into the gaps between the stones. The bases on both of these are just painted grey and then washed with black. I think its a good look for minimal effort. No doubt you could do a lot more if you were inclined to do so. The paving stones would lend themselves to a mosaic style fairly easily. Cool! How big are the sheets? You get two sheets, 21cm by 14.5cm for between $8 and $11.50 depending on the pattern. You can get around 40 small bases out of one sheet. I know you can buy circle cutters but I've just been using a compass to draw the right size on the back of the sheet and using my hobby knife to cut them out. 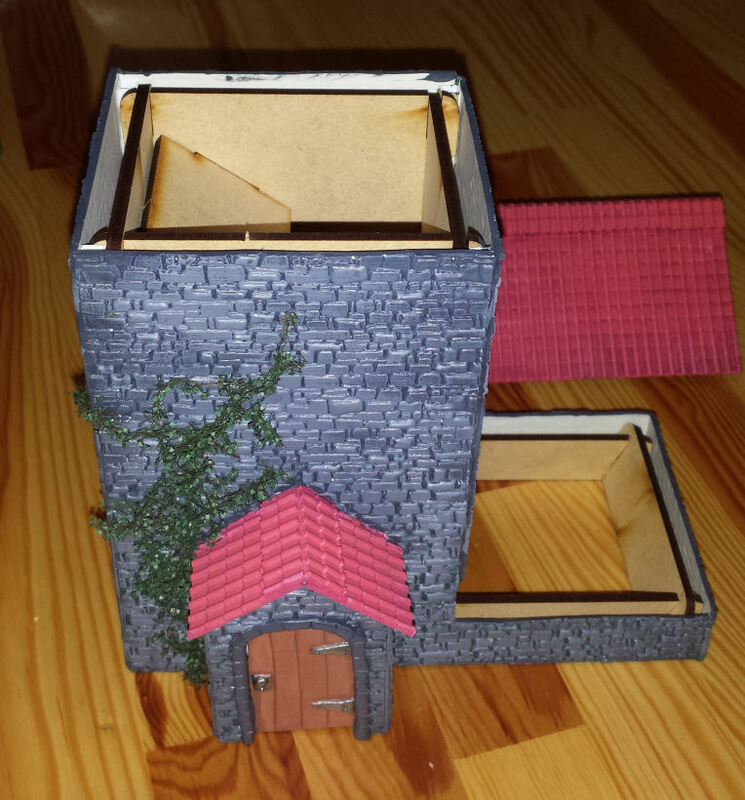 The dice tower used 3 sheets to clad the outside but with lots of leftovers. The two big L shaped side pieces needed one each but with almost half a sheet left (the offcut piece was not quite big enough for the large back piece of the tower.) I'm thinking of making a small doorway to the tower with some of the offcuts, just to add the finishing touch. 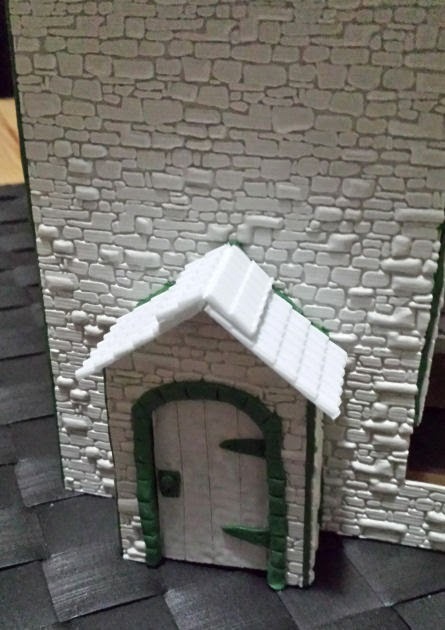 I decided on looking at the tower it needed a tiny addition to really complete it as a terrain piece so I went back and added a door. 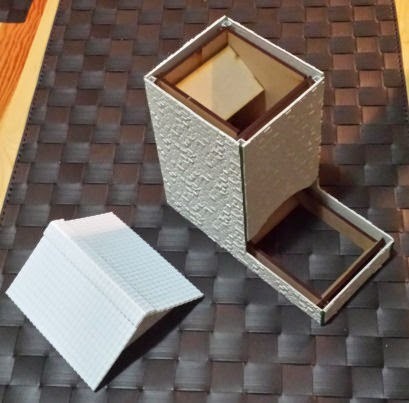 It's funny, I've not been sold on a dice tower before, until I saw it as a terrain piece. That is a really nifty addition to any fantasy-esque board. Good use of the material, really nice work! I am looking forward to seeing it painted up! 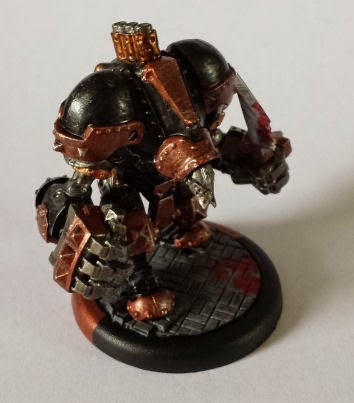 existential crisis in 3... 2... 1... existential crisis aborted, Check out my daemonkin Blog! 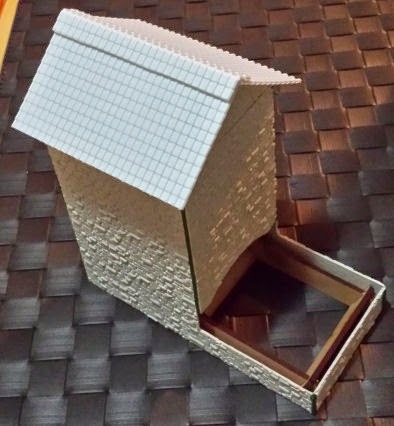 Well the site I ordered the towers from (Joe Dodgy) has a pretty good looking fortified tower style dice tower for $34 or two of the ones I bought for $17. With buying the plasticard etc. my towers work out at being around $27 all inclusive. All up for the two towers its only a saving of ~$15 but I really like the unique look of mine and after all, the hobby aspect is really why I got into these games. If you want to have a terrain tower without any extra work the $34 option is a good one to go for and I think it would still make a good looking terrain piece. Admittedly this had been a very long time coming. This was one of those projects that kept taking a back seat to whatever else I was doing at the time, but I will no longer have a giant white tower on the field. Or at least one less. My first dice tower finally finished. The creeper on the side is a nice touch also. It might just be the flash but the roof looks very red/pink it might need a wash or stain applied to it. Are these the towers from CNC? 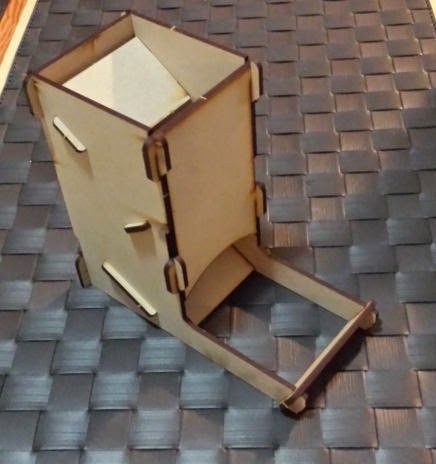 I was thinking of getting one, do use it as an actual dice tower or just the terrain piece? It's a little bit of the flash and a little bit of the colour. I'm going to give it another coat, darken it up a little. 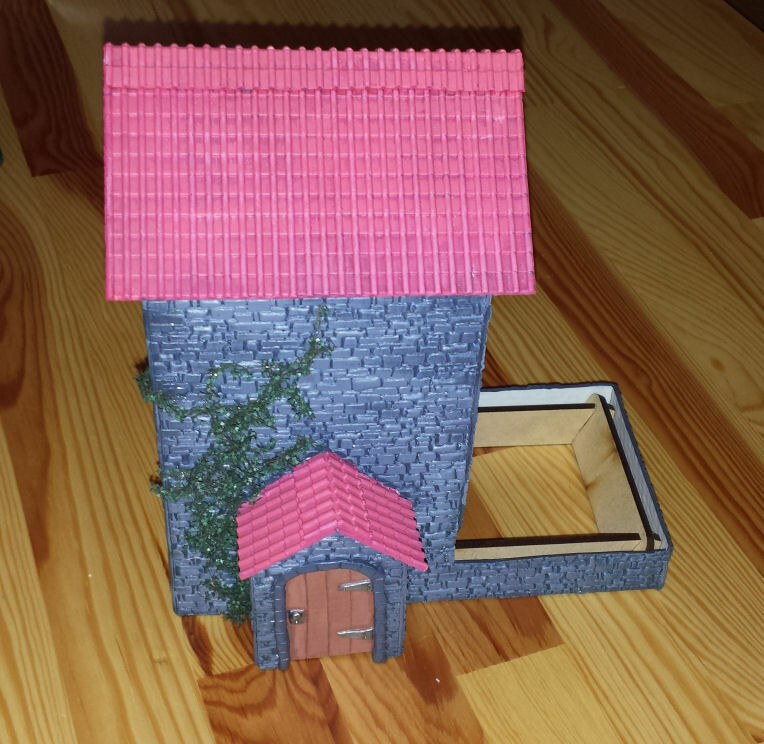 I use it as terrain and dice tower, don't know if its CNC but I got two from the Joe Dodgy games website. They're very reasonable price wise. Once I get the second one painted up I'll have two nice looking towers to bracket the battle field so my opponent and I will each have a dice tower to use.